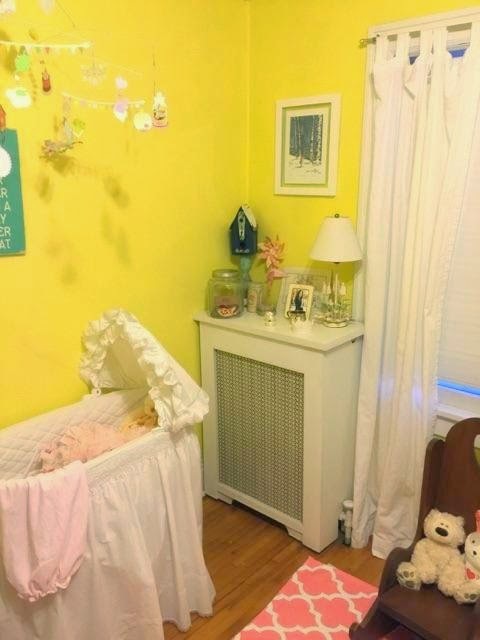 In the crazy cold of Minnesota, there is a little spot of sunshine that is Baby Wren's nursery. 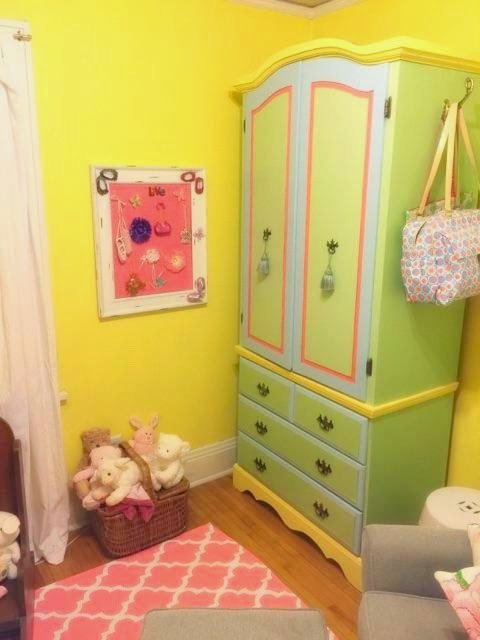 The bright yellow walls and pops of color bring warmth and comfort. 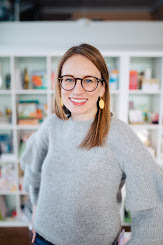 There is a mix of old and new and the room definitely fits the character of Missy and Matt's home. Baby Wren is a new addition to our ever growing family and we were all excited to welcome her to the world! She was born in January and her little face has been warming our hearts since. I was excited to make a cute silhouette of their Golden Retriever for the room. If you are wanting a cute way to incorporate your pet or any theme to your nursery, check out the silhouettes available in the shop! Fancy Aunt Nancy had to get the baby some fancy snow boots to face the Minnesota weather! 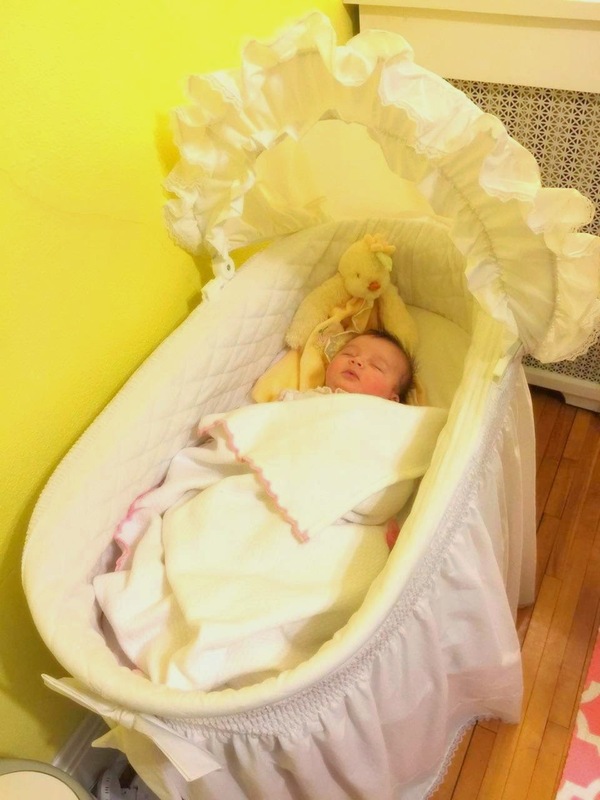 Right now, while Wren is an itty bitty baby, she sleeps in her little bassinet. 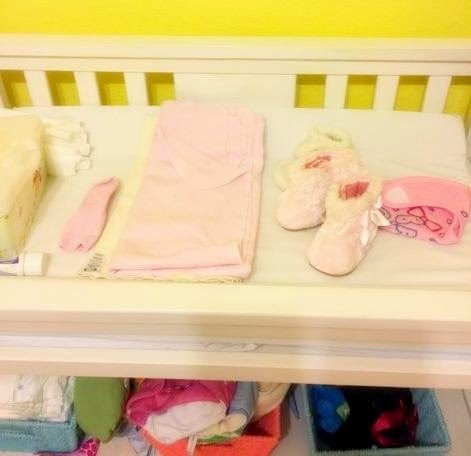 When she starts to grow, they will have a crib for the room with some adorable PB Baby sheets. 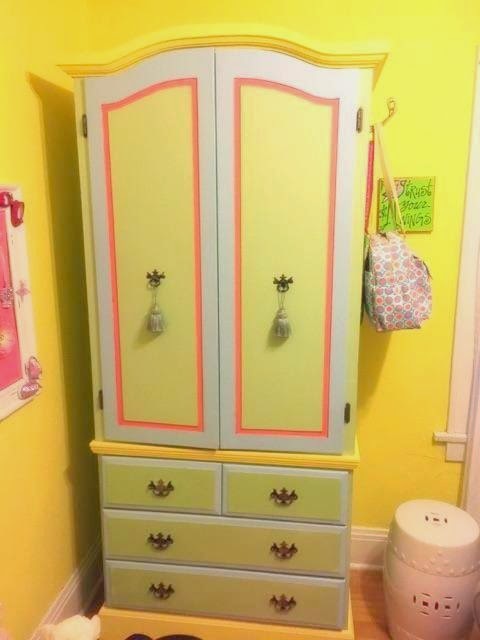 The colorful and cheery armoire is a special piece to Missy because it was built by her father and painted by her mom. 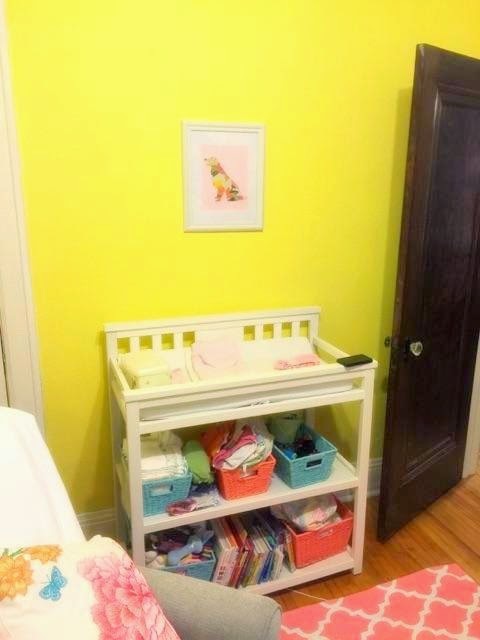 The colors are perfect for a nursery and I love that she was able to incorporate such a great piece! This fabulous rug is from Cafe Press and works wonderfully in the room! Here is one that is similar, but in a smaller size (I'm sure you could use the custom tool to make a larger area rug). 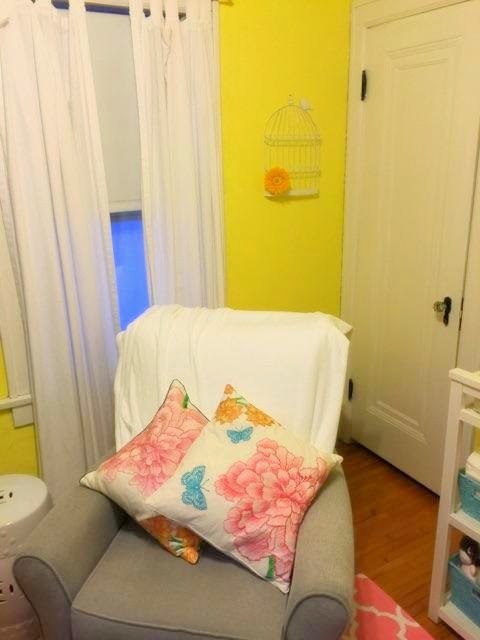 I can't wait to get up North to see the room in person and meet sweet baby Wren! She looks exactly like her mom and grandma. 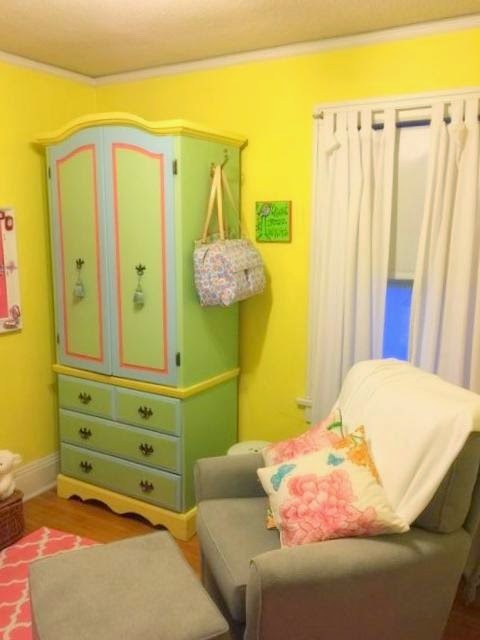 Hopefully this bright, sunny room warmed up your cold day a little bit!